Armstrong says LCVs provide a higher margin than many cars. BARCELONA -- A strong sales performance in light commercial vehicles will help Ford to be profitable in Europe this year despite headwinds after the UK voted to quit the European Union, the region's new boss, Steve Armstrong, said. Ford is aiming for an operating profit margin of 6 percent in Europe after posting a record $1.2 billion pre-tax profit in Europe last year. It achieved a margin of 2.5 percent in the first quarter this year and a pre-tax profit of $176 million. Costs associated with the Brexit decision and the subsequent fall in the value of the pound would cost the company $600 million this year, Armstrong said. 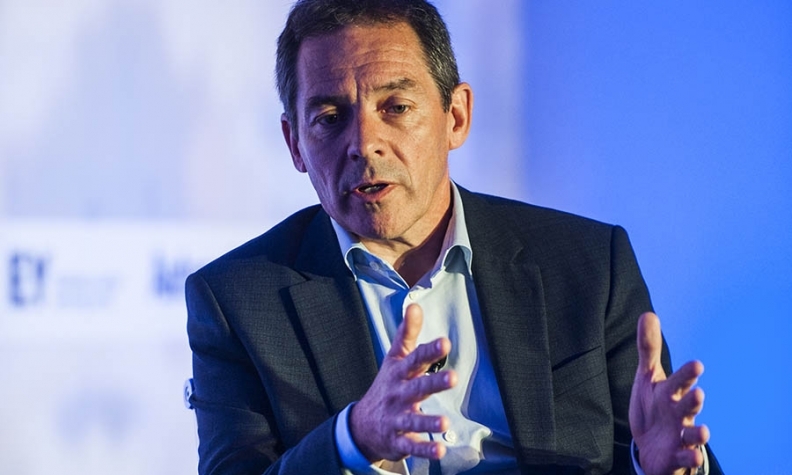 The veteran Ford executive was speaking at the Automotive News Europe Congress in Barcelona on Wednesday in one of his first public appearances since he succeeded Jim Farley as Ford of Europe president last month. "We are working hard to offset that with our strategy to move the brand upward and also a strong squeeze on costs," Armstrong said. LCVs are one reason Ford is doing better than its rivals. "They are a higher margin segment than some of the passenger cars," he said. Ford achieved its highest ever monthly LCV sales in May as demand for the Transit range and the Ranger pickup reached 24,000 in Europe. Ford LCV sales were up 17 percent in 2016 to a record 328,600 vehicles to make it the top-seller of LVCs in the region. Ford said earlier this year that profits this year would be slightly down in Europe partly from Brexit headwinds but also from the cost of launching the new Fiesta subcompact. Armstrong said the new-generation Fiesta will be profitable despite small margins in the small-car segment. The car will be launched in five different variants, including a Vignale high-spec version and a crossover-inspired Active model. "It will mean people will spend more to buy a Fiesta that suits them. It will be a profitable vehicle for us," Armstrong said. Armstrong was Ford of Europe's chief operating officer before he replaced Farley last month after Farley was promoted to a new role overseeing global markets for Ford. EDITORS NOTE: An earlier version of this story misstated the expected cost to Ford of Brexit headwinds.